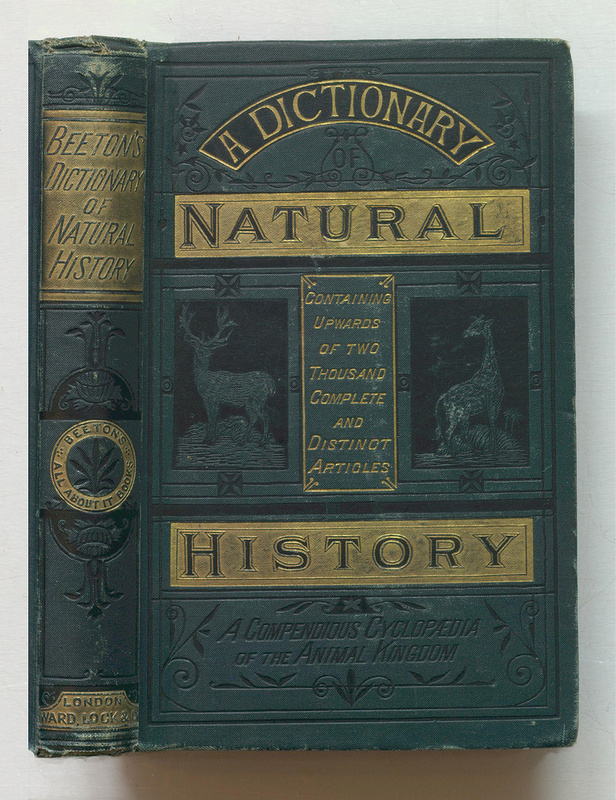 The Victorian fascination with natural history combined with affordable book publishing led to some comely titles in elegant binding. The Thomas Fisher Rare Book Library at the University of Toronto recently created a fascinating Flickr album of cloth bindings from Victorian natural history tomes in their collections. 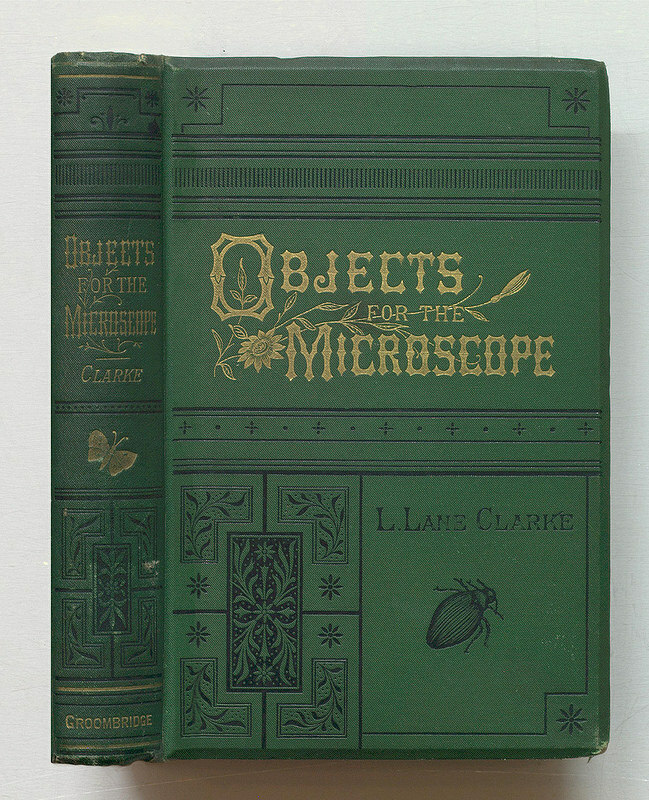 Although the timing was right, this symbiotic relationship was no doubt at least in part because of the suitability of the cloth binding as a medium for books about natural history — the whimsical nature of many of the publisher’s cloth bindings with beautiful designs and decorations blocked in gold and other colours speaks to the playful, popularized version of science encouraged in the Victorian Natural History movement. 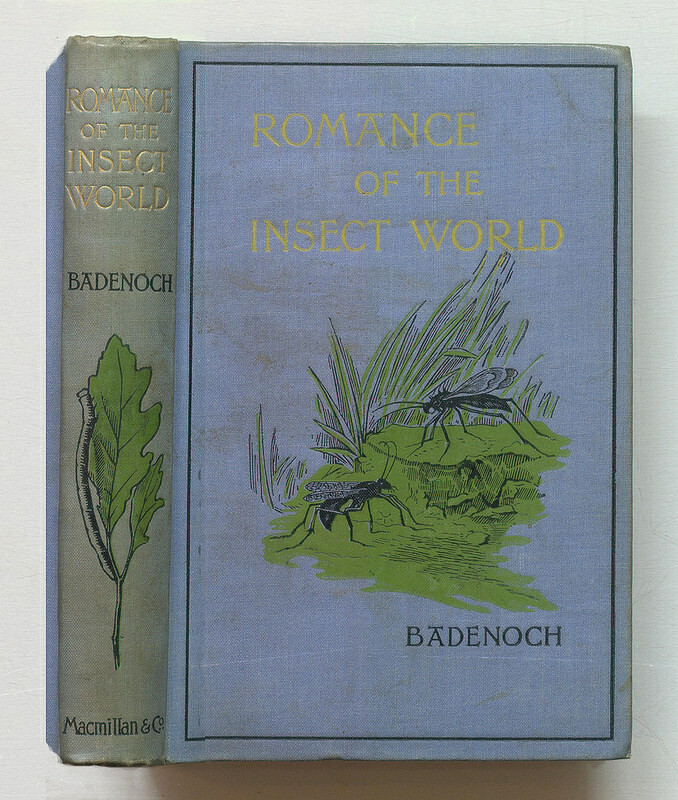 Indeed, if it were not for the attention paid to the appearance of the publisher’s bindings as an elegant keepsake, perhaps both natural history and publisher’s cloth bindings would not have cultivated such a following. Some of the books seem almost too good to be true in a sort of Wes Anderson prop-style. 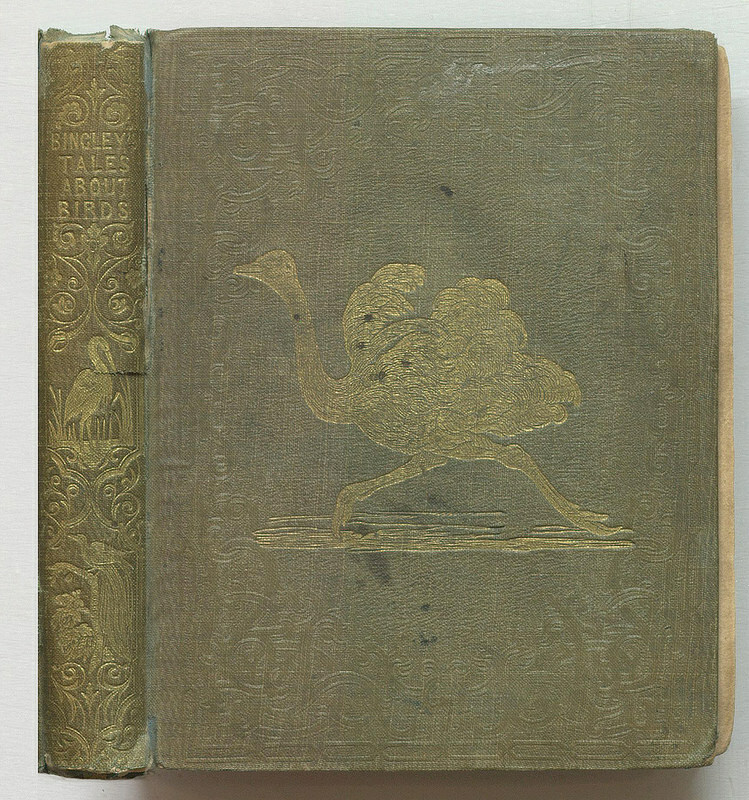 There’s Wings and Stings (1870) by the slyly named A.L.O.E., bound in green publisher’s cloth. 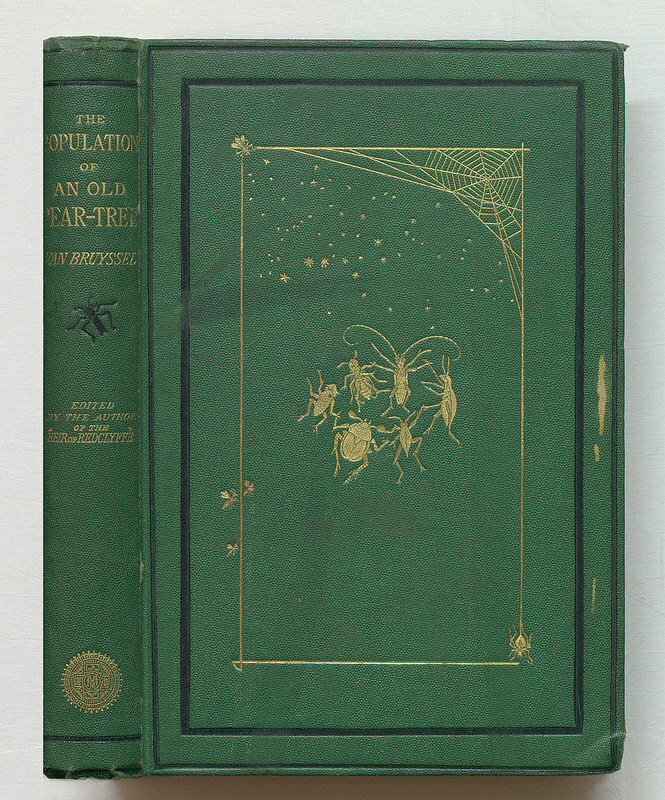 The Population of an Old Pear-Tree (1870) by Ernest Jean van Bruyssel, bound in sand-grain cloth, has a circle of insects dancing beneath stars and a spider web, its spider weaving the cover’s gold border around the scene. 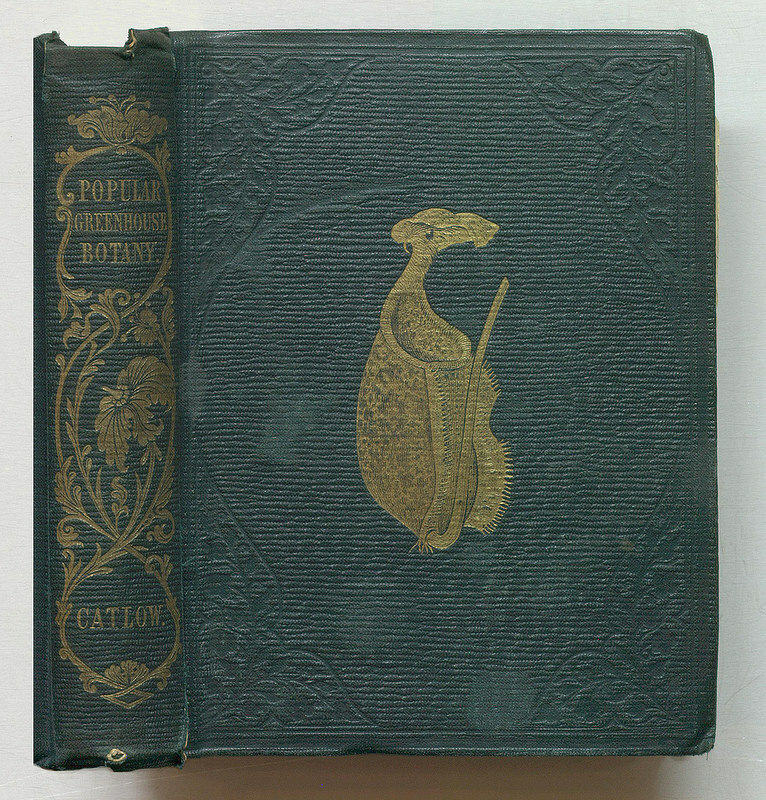 A pitcher plant is delicately detailed in gold on the green parallel cord cloth binding of Popular Greenhouse Botany by Agnes Catlow (1857), and for Charles Gould’s Mythical Monsters (1886), a gilded dragon lumbers over a brown crocodile cloth binding. 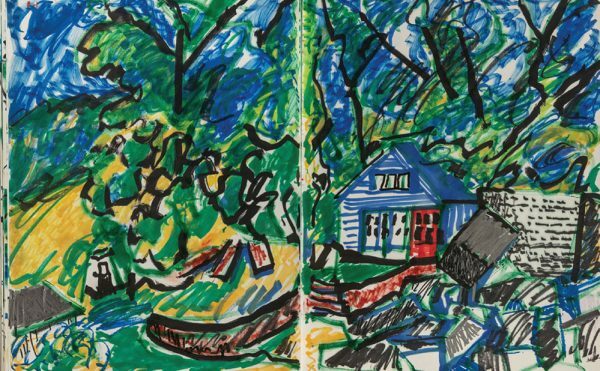 As the library notes, “publishers’ cloth binding” refers to “bindings manufactured by the publisher in large quantities,” an effort to meet the sudden demand for books with increased literacy, and curiosity. It was also a hardy material and has held up over the decades. 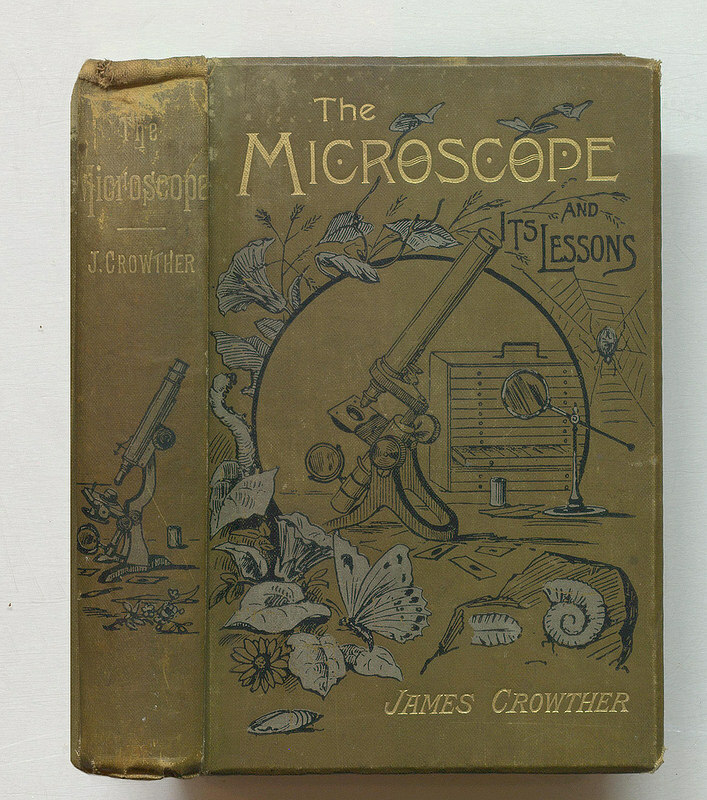 Below are some highlights from the Thomas Fisher Rare Book Library that blend romance and science in their bindings. View all of the Victorian natural history cloth bookbindings at the University of Toronto’s Thomas Fisher Rare Book Library’s Flickr.